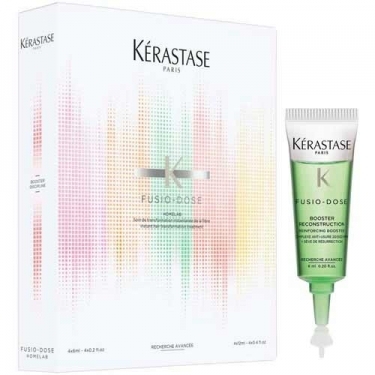 DESCRIPTION: Fusio-Dose Homelab Reconstruction from Kérastase is a treatment in which the booster is mixed with concentrates, four powerful features that offer multiple combinations for a personalized result and instant effectiveness. Reconstruction is an exclusive reconstruction booster with an anti-erosion reinforcement complex. 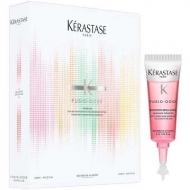 It gives density to the hair in depth, and the fibber is instantly repaired. 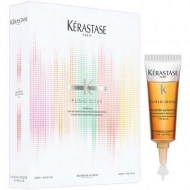 The hair is nourished in depth and the fibber is instantly repaired. 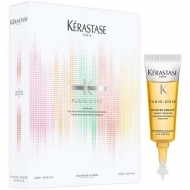 The hair is instantly repaired in depth. The resistance is restored. The brightness of the colour is exalted and the fibber instantly repaired.